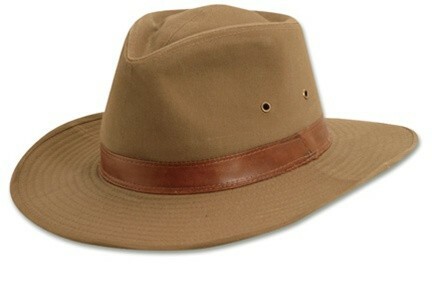 The true adventurer doesn't leave home without this washed twill outback hat. Made by Dorfman Pacific, this outback shape hat with a leather hat band has antique eyelets for ventilation. The hat also has the highest sun protection rating and a 3" brim to provide extra protection for the long days out in the sun. 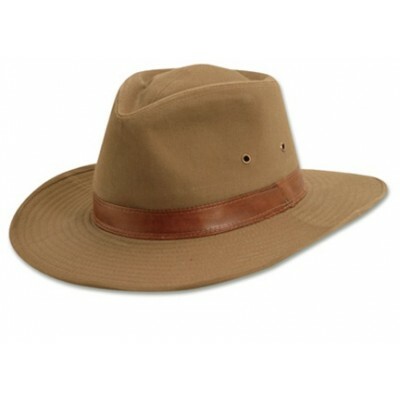 Don't leave home again without this washed twill outback hat!